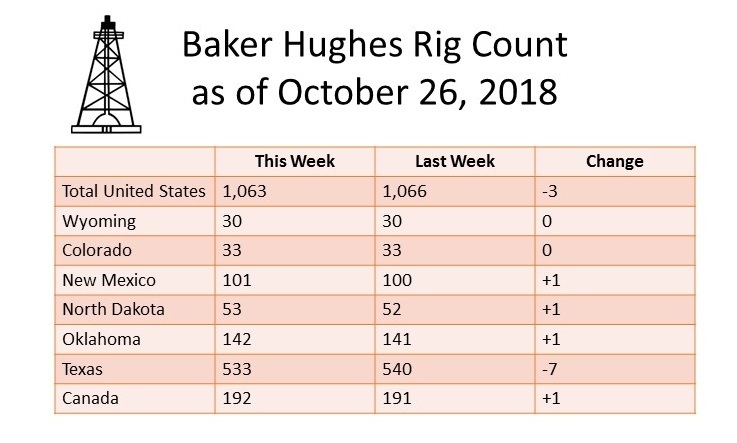 October 26, 2018 — Baker Hughes rig count for October 26 shows an overall decrease of 3 rigs in the United States. 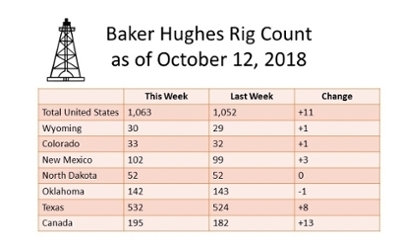 October 19, 2018 — Baker Hughes rig count for October 19 shows an increase of 4 rigs in the United States. 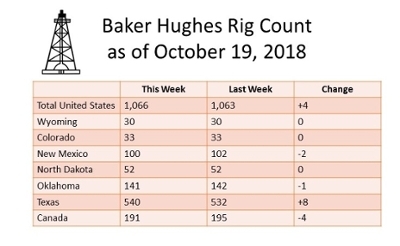 October 7, 2018 — Dr. Fred McLaughlin will be speaking on Wyoming's Carbon Management Programs in the Energy Innovation Center. October 4, 2018 — A group of University of Wyoming Professional Land Management and College of Law students participated in the Due Diligence seminar hosted by the Rocky Mountain Mineral Law Foundation. Sam Stein, School of Energy Resources student ambassador, shares her thoughts about participating in this career trek.